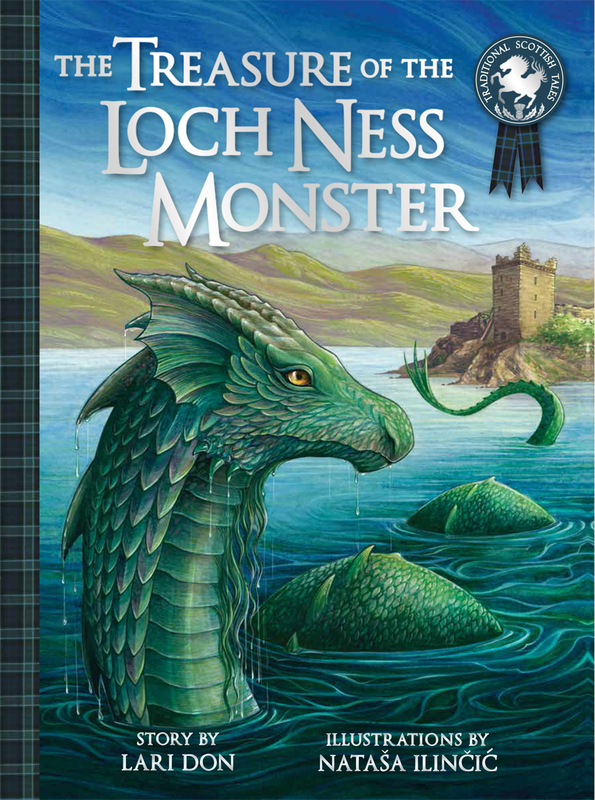 A new Loch Ness Monster story inspired by local folklore which is sure to become the classic Nessie story. This stunning picture book from award-winning author Lari Don features Nataša Ilinčić's atmospheric illustrations of the Scottish Highlands. Ishbel and Kenneth need to save their family from going hungry, so when they remember the old local tale about treasure under Urquhart Castle, they set off across Loch Ness in a rowing boat. But the loch may be hiding its own secrets. There's another ancient story about a giant monster living in the depths . . . 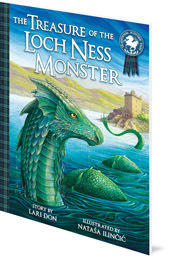 Legends of the Loch Ness Monster abound, but this new tale from renowned Scottish children's author and storyteller Lari Don sidesteps the modern Nessie to create a new Loch Ness Monster myth inspired by local folklore. A perfect companion to bestselling picture book The Secret of the Kelpie, also by Lari Don, this timeless tale of Scotland's most famous creature, atmospherically brought to life by Natasa Ilincic's stunning illustrations, is destined to become the classic Loch Ness Monster story. Lari Don has worked in politics and broadcasting, but is now a full-time writer and storyteller. She grew up in the north-east of Scotland, and lives in Edinburgh. She is the author more than 20 books for children of all ages including the Fabled Beasts Chronicles and Spellchasers trilogy for middle grade readers, Mind Blind for young teens, and picture books The Tale of Tam Linn and The Secret of the Kelpie. Nataša Ilinčić is an artist and illustrator originally from Croatia, now living and working in Edinburgh. Natasa was brought up on the foot of the Italian Alps where she spent much of her childhood befriending ancient trees and exploring ruins. Following her academic studies in Archaeology and Cultural Anthropology, she moved to Edinburgh to pursue a career in art and illustration, drawing inspiration from mythology and folklore. Her work has been shortlisted for the Folio Society Book Illustration Competition 2017, and has been exhibited in various galleries including the London House of Illustration.